we are hugely excited to offer premier UK touring dates for this worldwide acclaimed family show. 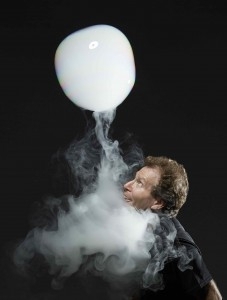 Based in America Louis Pearl has been thrilling audiences around the world for nearly 30 years with the art, magic, science and fun of bubbles. 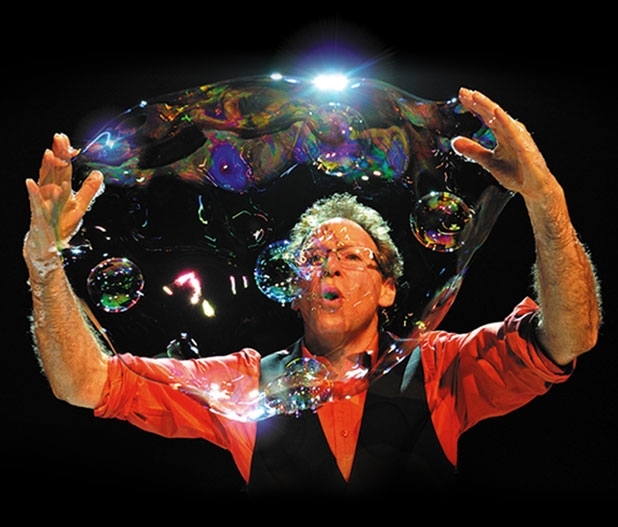 He explores the breath-taking dynamics of bubbles, combining comedy and artistry with audience participation and enough spellbinding bubble tricks to keep everyone mesmerized, along with shrieks of laughter and gasps of amazement from all ages. "Square bubbles, bubbles inside bubbles, fog-filled bubbles, cute three year olds inside bubbles, solar system bubbles, edible bubbles. Oh, for heaven's sake, just go." "Louis Pearl ... He's got it all"